The Spider-Verse is full of possibilities for Miles Morales! 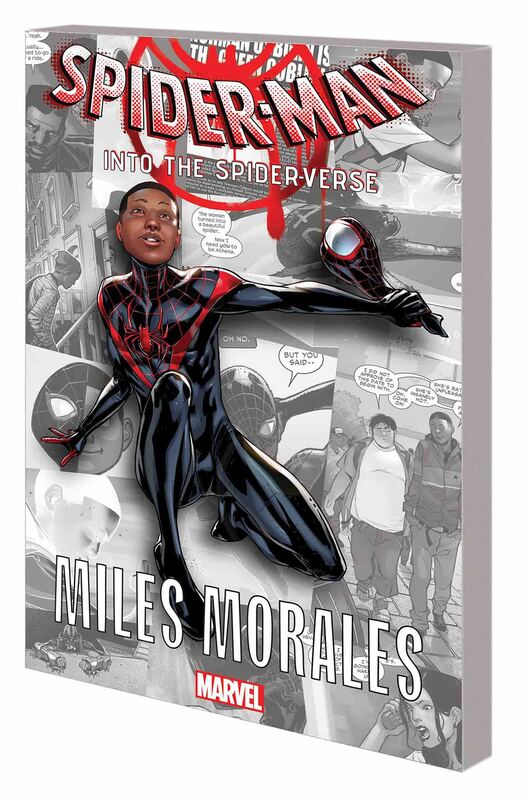 Get to know Miles - the Spider-Man of two worlds - with these ultimately marvelous adventures! In the wake of Peter Parker's death in the Ultimate Universe, brave young Miles steps forward with his own incredible, arachnid-like abilities to live up to the Spider-Man legacy! But how exactly does he get his ultra-cool costume? Then, Miles' life is turned upside down when reality is rewritten, and he and his loved ones are transplanted to the Marvel Universe! But when the Avengers fall, can one teen hero stand in the way of the demonic Blackheart? Collecting ULTIMATE COMICS SPIDER-MAN #1-2 and #5, and SPIDER-MAN (2016) #1-2.